Along my reading journey, I’ve made a conscious decision to include self-published, indie, and small press works in my reading schedule. But it is difficult to know where to start: So many new authors and books to examine to find the perfect fit for my tastes. 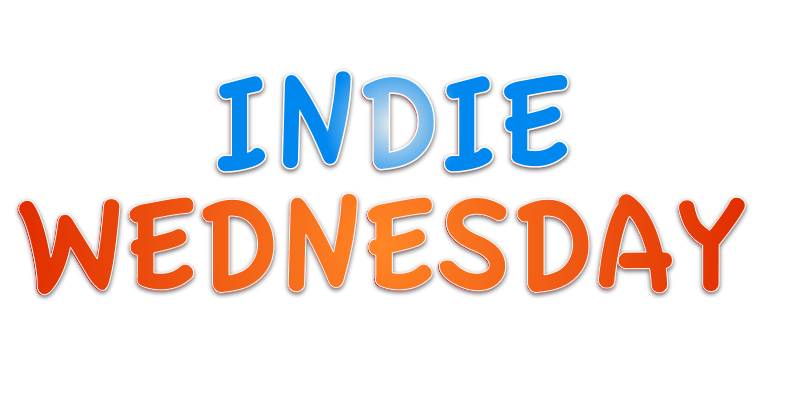 And to help others with this same problem, I’ve decided to turn my Indie Wednesday feature into a day where writers can introduce themselves and their work to everyone. With this in mind, I’m turning over the blog to Lauren McNeil , author of Moroda, who has been nice enough to submit a guest post for everyone’s reading enjoyment. I’m a self-published fantasy author from the UK. I’m a professional Copywriter and I’ve worked in Marketing for several years now. My debut novel, Moroda, was published as an eBook on 1 April and in paperback on 1 May 2017 – so I am hot out the gates and still learning SO much about everything! I love all things fantasy – from dragons to magic to airships and everything in between (so I’ve put all those things in my book, of course!) and love connecting with other kindred spirits. I had the original idea for it back when I was sixteen, but never really did anything with it. Every year I participate in NaNo (National Novel Writing Month – for those who don’t know, every November, you’re challenged to write 50,000 words of a novel in those 30 days. It’s not always easy; especially if you work full time, commute, have some sort of social life, etc.! But in November 2014, I decided to use the idea I’d had for so long. I wrote my 50,000 words, but the story wasn’t finished, so I continued writing it until April 2015, when I finished the first draft. From April 2015 until the book’s release in April 2017, I’d edited and re-written the manuscript, had three editors run through it, and generally panicked that it was finally happening! The book is part of a six part series (always seems to be the way with fantasy! ), so I’m already working on book two! I’m part of quite a few writing groups on Facebook, but the writing group I’m most involved with is one called Garage Fiction. It’s a small collection of writers who commit to writing 1,000 words of fiction every week. We share our posts, critique each other’s work and offer feedback, and then we talk about it on a podcast! The writers are from all around the world – Canada, the US, the UK – so there is an A and B podcast group to allow for the time differences. The group has been going for a few years and I joined in early 2017 so still feel very new, but it’s fantastic because of the range of expertise and the incredible support the members give. It’s always great to have a good mix of people, and Garage Fiction definitely has that! If you’re interested in finding out more about Garage Fiction, or listening to some of our podcasts, you can jump over to their website here, find them on Facebook here or on Twitter here! Like a lot of writers (dare I say, most? ), I’m immensely introverted. I think I scored 91% on introversion v extroversion on 16 personalities! So getting out there and promoting my stuff, doing interviews, podcasts, even “takeovers” like this (!) is typically outside my comfort zone. I studied Psychology at University and have a mild obsession with MBTI (I’m an INFJ! ), so although Writing is a pretty awesome fit for me job-wise (I’m a copywriter as well as a published author), the sales and promotion side of things isn’t always natural, or easy, for me! A lot of the time, I think, it’s just about putting an “author” hat on and pushing through it. But it’s also pushing through self-doubt and believing in yourself and the book! Receiving positive reviews always adds credibility, and they’re incredibly validating, too. Moroda is the first novel in an epic six-book saga, following a group of characters as war rages across their world. With pirates and soldiers, smiths and princes, Linaria is a vibrant land with a deeply unsettled past and an equally ominous future. AUTHOR INFO: Lauren McNeil has two writing careers – as a copywriter and another as a self-published fantasy author. She also runs her own copywriting services, The Art of Telling Stories . She is a self-described petrol head and thalassophile, loves castles, sunshine, and dragons! She has always found solace in losing herself in the fantasy worlds she read and created, and it has been one of her most incredible achievements to finally publish her own novel, adventure fantasy, “Moroda,” which was released in spring 2017, the first book in a series of six. The sequel, “Palom,” is due for publication in autumn 2017. She currently lives in the UK and can’t wait for the day she can finally own a little cottage by the seaside! This entry was posted in Author Spotlights, Guest Post, Indie Wednesday and tagged Garage Fiction, Indie authors, indie fantasy, indie wednesday, L.L. McNeil, Lauren McNeil, Lauren McNeil guest post, Moroda, Palom, self-published fantasy, The Art of Telling Stories. Bookmark the permalink.